The Spartan tyrant Machanidas invades Elis. Although the Battle of Canusium of the previous year was indecisive, some Romans saw it as a Roman defeat. One of them was a people’s tribune named Gaius Publicius Bulbus. Bulbus did everything within his power to vilify the proconsul Marcellus and dragged him before the people to have him stripped of his command. One of his chief complaints was that, while Hannibal was roaming free in Southern Italy, Marcellus had billeted his men in comfortable houses in Venusia. The meeting of the concilium plebis was held in the Circus Flaminius. Unfortunately for Bulbus, the proconsul argued his case so well that not only was the proposal to take away his command rejected, Marcellus was also elected by the comitia centuriata as one of the new consuls just a day later. His colleague was Titus Quinctius Crispinus. 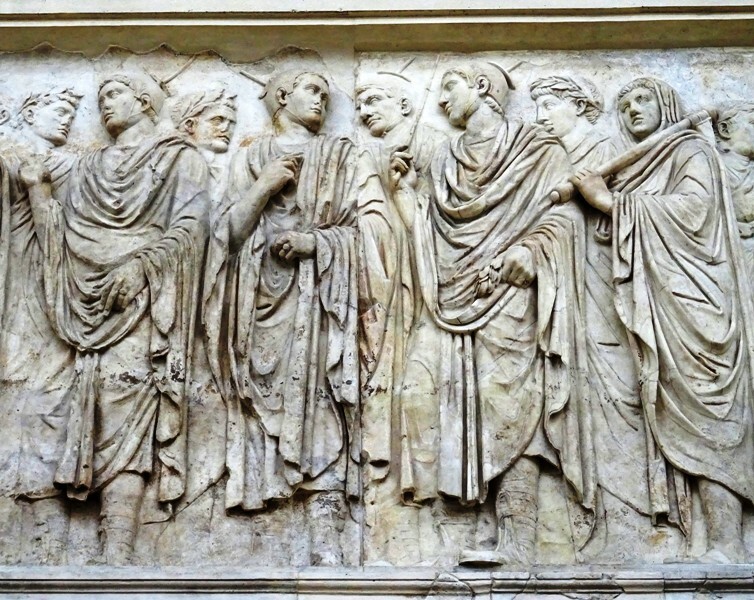 Roman priests on a relief of the Ara Pacis in Rome. The priests in the middle are wearing the apex, a cap with a pointed piece of wood. The pontifex maximus Publius Licinius Crassus was at the centre of yet another constitutional conflict this year. He had a reckless and spendthrift young man named Gaius Valerius Flaccus consecrated as flamen Dialis – priest of Jupiter – and had done so against the young man’s will. The office of flamen Dialis was ancient and prestigious, but also entailed several taboos. The flamen was for instance not allowed to leave Rome, which rendered a career in the army impossible. However, with taboos came privileges: the priest of Jupiter was traditionally entitled not just to a toga praetexta and a curule chair, but also to a seat in the Senate. Flaccus now decided to claim it. However, the urban praetor Publius Licinius Varus believed that the precedents cited by Flaccus were obsolete – no flamen had claimed the right to a seat for over two generations – and had him removed from the Curia. Flaccus then appealed to the tribunes, who upheld his complaint and led him back into the Senate House, to the general approval of the senators. The praetor did not interfere and the flamen took up the seat that was rightfully his. A more serious matter this year was the unrest in Etruria, and especially in Arretium. The exact nature of the problems is not discussed in our sources. Etruria had been pillaged by Hannibal in 217 BCE, but the Carthaginian general had only been in the region briefly and had never returned. Etruria was the heartland of the Etruscans, who in previous centuries had been the Romans’ most important teachers. Rome and the various Etruscan city states had fought each other and had been each other’s allies, but Rome had ultimately come to dominate all of Etruria and the last serious rebellions had been defeated decades ago. Rome had for instance put down a revolt in Volsinii in 264 BCE, and a rebellion in Falerii in 241 BCE had been crushed in just a few days. In the latter case, the reason had been heavy taxation during the First Punic War, and in the case of Etruria this year, the burden of the war may very well have contributed to the unrest. Like the cities in Latium and the Latin colonies, no Etruscan city had defected to Hannibal yet and the Romans liked to keep it that way. A propraetor and the former consul Gaius Terentius Varro were sent to Etruria to restore order. They seem to have done so competently by taking hostages, stationing a garrison in Arretium and patrolling the region with their legions. Remains of the Roman amphitheatre of Arretium. The Senate was unable to reach a conclusion about the fate of the Tarentines. Many senators wanted to treat them like the inhabitants of Capua had been treated. Fabius Maximus, however, pleaded for clemency. Since Fabius had actually recaptured Tarentum and since he was the princeps senatus, his opinion carried great weight. In the end, a decision on the matter was postponed. There was also a fierce debate about Gaius (or Marcus) Livius, the commander of the Roman garrison at Tarentum. Through his negligence, Tarentum had been lost in the first place, but he had afterwards held the citadel for years and had been instrumental in recapturing the city. Fabius cynically agreed with Livius’ friends “that it was owing to his efforts that Tarentum had been retaken, for there would have been no recapture had it not previously been lost”. In the end, the case was referred to the censors, who do not seem to have taken any action against Livius. This year, the war was fought with 21 legions. The consul Crispinus marched on Locri in Bruttium, one of the last important cities in the south of Italy still in Carthaginian hands. Crispinus broke off his attack and retreated when it was reported to him that Hannibal was on his way with a relief army. The consuls now wrote to the propraetor Lucius Cincius Alimentus that he should sail from Sicily to Locri and lay siege to the city. At the same time they ordered part of the garrison of Tarentum to march south and help with the siege. These troops failed to reconnoitre properly and were ambushed by Hannibal, who killed or captured most of them. Bad reconnaissance was a serious problem for the Romans during the Second Punic War. And this year, it would cost them the life of their two consuls. Near Venusia, Marcellus and Crispinus camped close to each other with their respective armies. Hannibal’s camp was not far away. Between the camps was a forested hill that had not been occupied by either side. The two consuls decided to investigate and took just a small force with them. No more than 220 horsemen – 40 men from Fregellae and 180 Etruscans – and 30 velites accompanied the two most senior magistrates of the Roman Republic. Unfortunately for them, Hannibal’s agile Numidian cavalry was also on the hill, and soon these horsemen surrounded the Roman party and attacked from all sides. The Etruscans quickly fled, but the consuls and the men from Fregellae fought bravely. They did not stand a chance. A Numidian managed to run Marcellus through with a spear (lancea) and the consul fell from his horse dying. 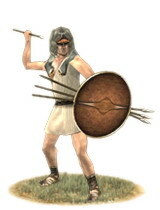 Crispinus was hit by two javelins and Marcellus’ son, who was serving as a tribune, was also injured. Both managed to get away, but Marcellus was dead. Rome had lost her sword. Polybius believed that the consul had acted stupidly by reconnoitring in person. “Let the risk be for the Carian, as the proverb has it, and not for the general”, he wrote – the Carian apparently being a person of very little value. Hannibal for his part treated his fallen opponent with respect. He had Marcellus’ body cremated and returned the urn to his son. But Hannibal also took the consul’s signet ring and tried to use it to sign fake letters that were actually written by himself. Fortunately for the Romans, the consul Crispinus, though badly wounded, had sent word to the cities in the vicinity that Marcellus had been killed and that the enemy might be using his signet ring. They were not to trust any letter supposedly signed by the consul. The city of Salapia received such a letter, ordering it to open its gates for “Marcellus”. The Salapians decided to turn the trick on the Carthaginians themselves. They let Hannibal’s vanguard of Roman defectors enter their city and then dropped the portcullis, trapping the defectors inside. The Salapians then made short work of them. Realising that his attempt to take Salapia by trickery had failed, Hannibal marched south again to raise the siege of Locri. The Romans had not made much progress there. The mere sight of his Numidian cavalry caused a panic in the Roman camp, and Alimentus quickly boarded his troops and sailed away. Meanwhile, Crispinus’ injuries were getting worse by the day. The consul was in horrible pains as he was carried around in his sedan chair. He wrote to the Senate about the death of his colleague and reported that he was unable to come back to Rome for the elections because of his condition. Just before breathing his last breath, he managed to nominate a dictator for presiding over the elections, Titus Manlius Torquatus. Rome had lost two consuls in a single confrontation. Although she had by now suffered well over 100.000 casualties, the loss of these experienced commanders was perhaps as grievous a blow. The Romans counted themselves lucky that they still had Publius Cornelius Scipio. His fair treatment of the hostages at Carthago Nova had won him many new allies among the Spanish communities. Even the chieftain Indibilis and his brother Mandonius now defected from the Carthaginians and joined the Roman side. The previous year, Scipio had released the former’s daughters and the latter’s wife. 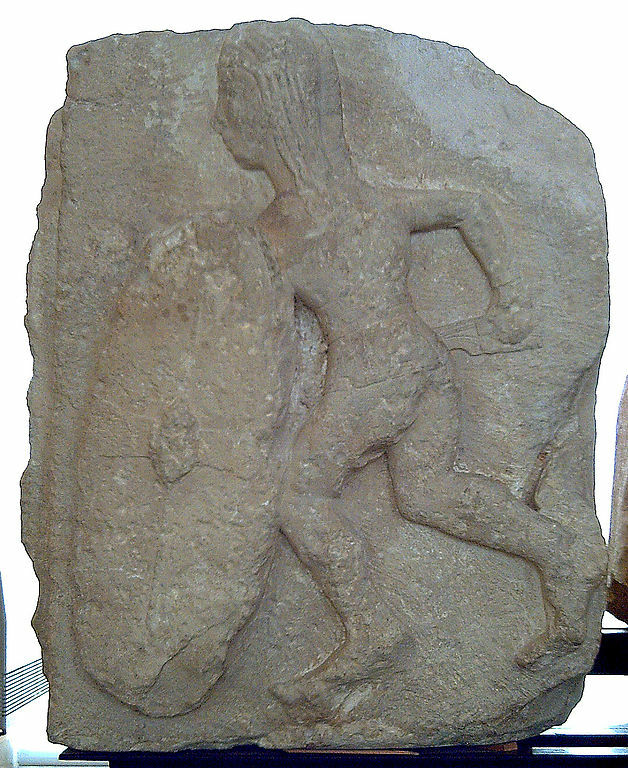 Indibilis, a chieftain of the Ilergetes, had been a staunch supporter of the Carthaginians up until then. He had been captured after the Carthaginian defeat at Cissa in 218 BCE, but had been released later. In 211 BCE, he had led a column of Suessetani against Scipio’s father, who was subsequently killed. Scipio does not seem to have held a grudge against Indibilis for his role in the death of his father. The Roman general was happy to have such a powerful warlord on his side. It should be noted that the alliance was mostly based on good personal relations and Scipio’s charisma. 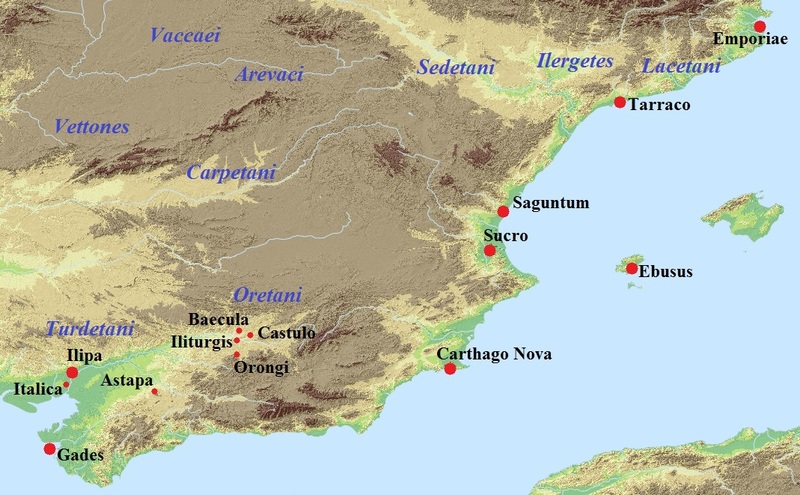 Most Spanish tribes still resented the presence of the Romans in the peninsula, especially if it was permanent. But he harsh and arrogant treatment of the Carthaginians made them prefer alliances with the Romans, at least for now. Scipio spent the larger part of the winter on diplomacy and then led his army out of camp again seeking a confrontation with the Carthaginians. The Roman general had disbanded his fleet, believing that it was no longer necessary to protect Spain against Punic ships. Many of the marines were equipped as legionaries and provided with the arms and armour made in Carthago Nova. Scipio again marched south and confronted the Carthaginian army led by Hasdrubal Barcas at a place called Baecula. Baecula was just north of the city of Castulo (near present-day Linares) in the territory of the Oretani. The region was important because of the presence of silver mines. It seems unlikely that Hasdrubal had any taste for battle. He was camping on favourable high ground and after the battle, he took the remainder of his army north along the Tagus and over the Pyrenees to join his brother Hannibal in Italy. He had probably been planning this operation for months, only to be interrupted by the sudden appearance of Scipio and his army. Iberian warrior (photo: Luis García (Zaqarbal)). Hasdrubal’s position on the high ground was formidable, but Scipio decided to risk battle anyway. He sent his velites and some picked men from the infantry up the hill, where they soon engaged Hasdrubal’s outposts. The Romans were eager to get into close combat, something the Carthaginians had not anticipated. Livius claims that even the Roman camp servants (calones) joined in the fighting. 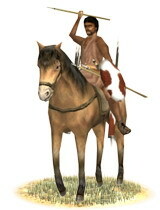 Ultimately, Hasdrubal led his main force out of camp and began deploying his troops. But he was too late. Scipio had given Laelius command of the Roman left flank while he himself commanded the right flank. He then gave orders to begin a series of outflanking manoeuvres, climbing up the steep sides of the hill and attacking the Carthaginians while they were still busy deploying in battle formation. The Battle of Baecula ended in a clear Roman victory. Livius claims the Carthaginians lost 8.000 men and both Livius and Polybius mention 10.000 infantry and 2.000 cavalry captured. However, these figures seem much too high. Hasdrubal presumably withdraw with his war treasury and elephants early in the battle and seems to have succeeded in taking the majority of his forces with him. In 215 BCE, his father and uncle had managed to prevent Hasdrubal from breaking out of Spain. Scipio was not so lucky. Hasdrubal had escaped and was now on his way to Italy. But Scipio must have realised that the Romans had plenty of legions in the field to stop him before he could unite with his brother. The Romans contented themselves with taking and looting the enemy camp. The Spanish prisoners of war were released without ransom while the North Africans were sold as slaves by the quaestor. Scipio’s popularity among the Spanish tribes was rising, and many Spanish thronged around him and saluted him as king. This had happened before, and on previous occasions Scipio had paid little attention to it. But now he was beginning to feel uncomfortable, as the title of ‘king’ was extremely controversial in the Roman Republic. Scipio asked for silence and said that they could address him as imperator – victorious general – as that was the word his own soldiers used. Since the war season was now almost over, Scipio retreated towards his winter quarters at Tarraco. On Aigina, Publius Sulpicius Galba had joined forces with King Attalos of Pergamum. Together they commanded a fleet of some sixty ships. Galba and the king first attacked the island of Lemnos. They pillaged the countryside, but seem to have been unable to capture the main city. 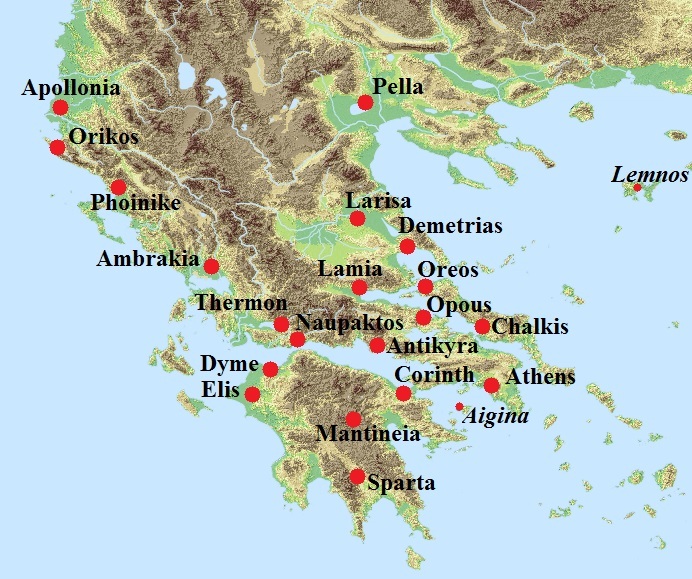 The Romans then captured the city of Oreos on Euboea after the Macedonian governor betrayed it to them. An attack on Chalkis, also on Euboea, was unsuccessful, as the city was too well defended. Galba and Attalos then took the city of Opous in Locris, which was given to the king’s troops to pillage. Attalos wasted much of his time in Opous, and was almost surprised there when King Philippos V of Macedonia arrived with his army. Attalos had to leave the city head over heels and fled back to his ships. He was soon out of the war as well, when news reached him that his traditional enemy King Prusias I of Bithynia had invaded his kingdom. The energetic King Philippos had to be everywhere at the same time again. He marched up and down Greece, trying to help his allies and fight his enemies wherever he could. Philippos even set up a system of beacon fires that could be used to send signals from places that were under attack. Again envoys from Egypt and Rhodos tried to persuade the king to enter into peace negotiations, but just then the Spartan tyrant Machanidas invaded Elis. Both the Spartans and the Eleans were Roman allies, so this was most unfortunate. What was worse, the tyrant had attacked the Eleans while they were preparing for the Olympic Games of this year. Machanidas soon broke off his attack when he heard that King Philippos was approaching, and the king now set about building a new fleet. He realised that he needed to take to the sea if he wanted to beat the Romans and he also received some help from a Carthaginian fleet. Richard Miles, Carthage must be destroyed, p. 301 and p. 304. For this incident, see Andrew Lintott, The Constitution of the Roman Republic, p. 5-6. Lintott assumes the praetor involved was Lucius Licinius, the brother of the pontifex maximus, and that the incident took place in 209 BCE. The Latin text I used, however, reads “P. Licinius”. Publius Licinius Varus was the urban praetor of 208 BCE. Plutarch relates that, according to a tradition mentioned by Cornelius Nepos and Valerius Maximus, two groups of Numidians began fighting over the urn. The urn was dropped and the remains fell out. Hannibal did not collect them, “feeling that it was at some divine behest that Marcellus had died and been deprived of burial in this strange manner” (Life of Marcellus 30). Polybius 10.39 uses the Greek term epilektoi. Perhaps these men were the extraordinarii. 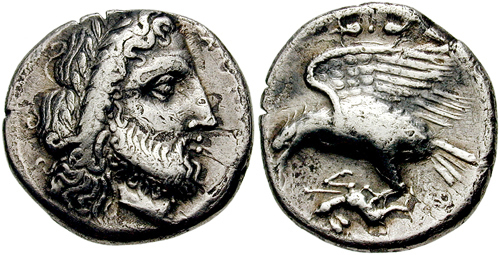 Polybius 10.40 uses the Greek term strategos. The Romans sent one Lucius Manlius Acidinus to Olympia to attend the games as a spectator. His mission was to take stock of the state of affairs in Greece. As every Greek city-state participated in the Olympics, this was an ideal opportunity for a fact-finding mission (Livius 27.35).